For beginner companies the bank account opening usually lasts for at least 3 months. At our company, it can be arranged in 4 days, moreover in case of capital companies, in 24 hours. After the notary, we are in the bank with you the same day or the next day in the morning, where you only have to sign the prepared papers. Why does the bank account opening last so long in normal case? Because the banks examine your company, its business activity very strictly, before allowing the opening of the bank account. Thanks to the several years of close relationship between our company and the banks, we can open a bank account within weeks in numerous countries. 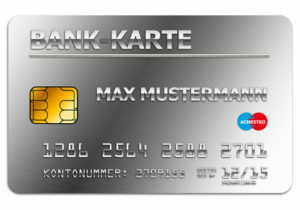 Many of our clients ask if he/she can open a euro based foreign (German) bank account in Hungary for his/her company. The answer is yes. The only question is whether, for example, the German tax authority and accountant will understand your foreign, in this case Hungarian bank account statement. A lot of company owner employs its Hungarian employees in its company in Germany. However, these employees do not have a home address in Germany. This is not a problem. In this case, the bank is ready to open a private bank account for the employees of the company. You can ask online banking and EC card for the bank account, moreover you can also request supplementary cards for your family members living in Hungary. Companies or smaller enterprises may turn to their bank for credit demand after three years.